An Tain – 9th March at 8 pm. Check in on older people during this week’s cold weather. Freda Hearty and the Dance Kids are back once more with their Christmas show ‘Mistletoe Magic’ which takes place on the 29th and 30th of December in An Tàin Theatre. ‘Mistletoe Magic’ is jam packed full of all your Christmas favourites as well as an excerpt from the hit Disney film Aladdin. The talented dancers will also be performing to many favourites such as Little Mix, Hairspray and The Jersey Boys to name just a few that are guaranteed to have audiences of every age dancing and singing along in their seats. ‘Mistletoe Magic’ takes place in An Tàin Theatre on the 29th and 30th of December at the earlier starting time of 6:30pm. It is the perfect festive event for all the family to enjoy during the Christmas period. 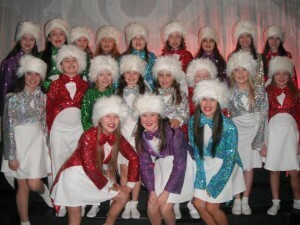 The Dance Kids are well known for putting on a fantastic show, and ‘Mistletoe Magic’ will be no exception. Book your tickets today at An Tàin Theatre’s box office on 042 9332332.